Mohanlal Viswanathan Nair (born 21 May 1960) better known as Mohanlal is an Indian actor, film producer, singer and writer best known for his work in Malayalam films. Film critics, contemporaries and other experts consider him as one of the greatest living actors in Indian cinema and apart, for his versatile and natural acting. Widely regarded as a cultural icon,he also holds a matinee idol status in popular culture of Kerala. In 1977–78 he was the Kerala state wrestling champion. 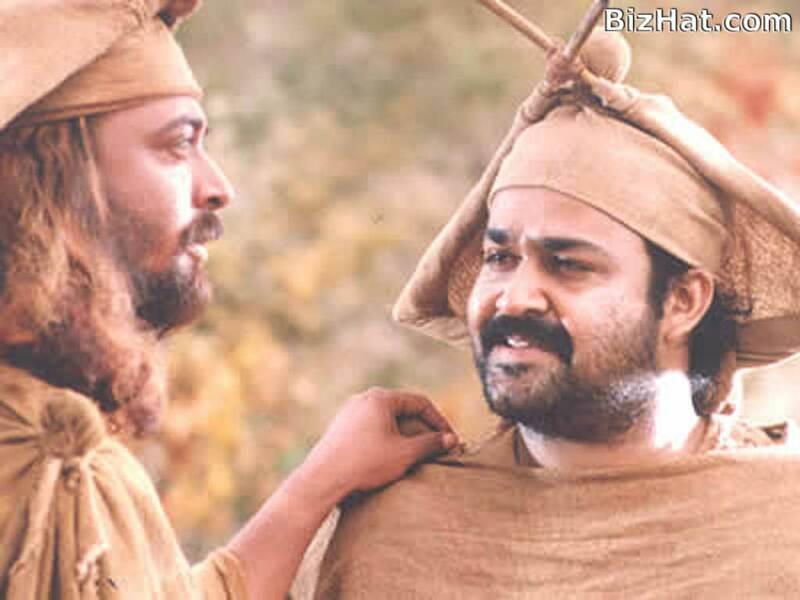 Mohanlal made his acting debut in 1978 with the film Thiranottam which was created by Mohanlal and his friends: Maniyan Pilla Raju, Suresh Kumar, Unni, Priyadarshan, Ravi Kumar and others. Mohanlal played Kuttappan, a mentally disabled servant in the movie. The film was completed but it took 25 years to release the movie. Mohanlal made his acting debut in Thiranottam (1978), but the film got released only after 25 years due to censorship issues. His first film to be released was Manjil Virinja Pookkal (1980) in which he acted as the antagonist. He became a superstar with the commercial success of Rajavinte Makan (1986) which is widely considered as a cult classic in action movie genre. In a career spanning over three decades, Mohanlal has acted in over 300 Malayalam films in various genres. Mohanlal has also acted in Bollywood, Tamil, Telugu and Kannada films. Of these, his notable roles were in Iruvar (1997), directed by Mani Ratnam, and Company (2002), directed by Ram Gopal Varma. the Government of India honoured him with the Padma Shri, India's fourth highest civilian honour, for his contributions towards Indian cinema. He has won four Indian National Film Awards – two Best Actor Awards, one Special Jury Award, and one Award for Best Film as producer; along with six Kerala State Film Awards for Best Actor and eight Filmfare Awards for Best Actor. In 2009, he became the first and the only actor to be given the honorary rank of Lieutenant Colonel in the Territorial Army of India and in 2010 received an honorary doctorate from Sree Sankaracharya University of Sanskrit, Kerala. The period of 1986–1995 is widely regarded as the golden age of Malayalam cinema, with films characterised by detailed screenplays, lucid narration and fresh ideas narrowing the gap between art and commercial films. In 1986, Mohanlal worked with Sathyan Anthikad, winning his first Kerala State Film Award for Best Actor for his work in T. P. Balagopalan M.A. in which he portrayed an unemployed youth who shoulders the responsibility of his family. He portrayed an underworld don in the blockbuster film Rajavinte Makan and with its success he was labelled a superstar. Mohanlal`s popularity among teenage moviegoers was increased by his roles in Priyadarshan`s musical comedies, notably Chithram and Kilukkam. Thoovanathumbikal, in which he portrayed a person torn between his twin love interests, broke many stereotypes in Indian films, such as the leading man falling in love with a second woman immediately after he is rejected by the first. 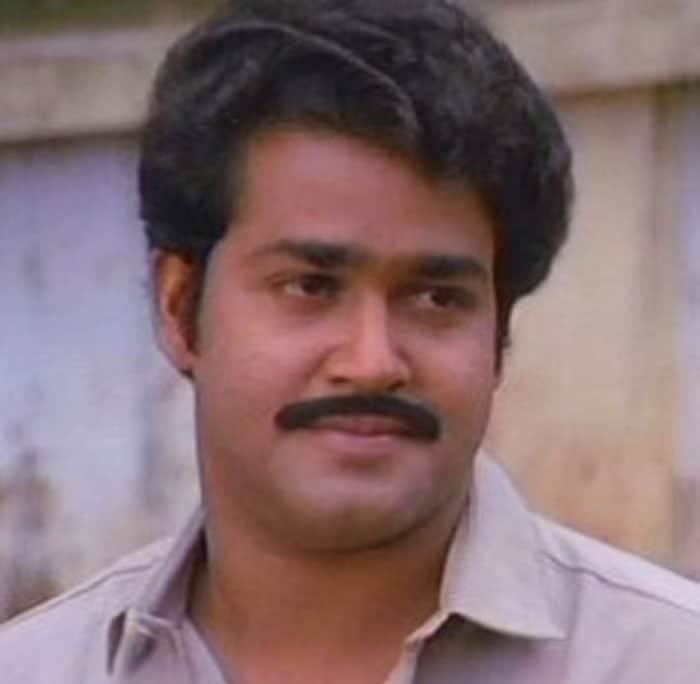 In the 1990s, Mohanlal acted in a number of notable commercial movies, such as His Highness Abdullah, Midhunam, and Minnaram. Devaasuram, written by Ranjith and directed by I. V. Sasi, was one of Mohanlal`s most successful films. Many movies made in this period built on Mohanlal`s image as an invincible, larger-than-life hero. Notable examples include Aaram Thamburan, Narasimham, Ravanaprabhu and Naran. Some of these films faced criticism for their lack of realism and emphasis on Mohanlal. 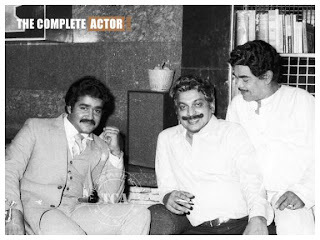 Priyadarshan`s Kala Pani and Lohithadas`s Kanmadam were among his other notable films during the late 1990s. Mohanlal`s first non-Malayalam movie was the Tamil film Iruvar, directed by Mani Ratnam. The controversial film was a critical success and won many awards including Best Film award at the Belgrade International Film Festival and two National Film Awards. He won his second National Award for Best Actor for the Indo-French movie Vaanaprastham. The film was also selected for the competitive section at the Cannes Film Festival. 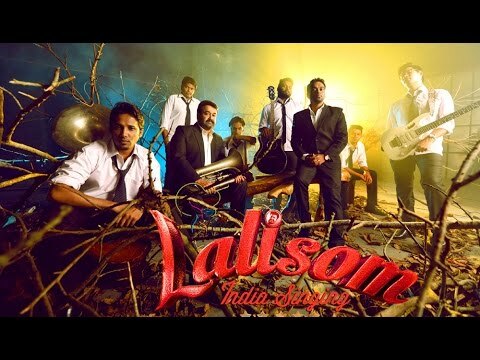 Main article: Lalisom - The Lal Effect,In 2014 Mohanlal and music director Ratheesh Vegha formed the band 'Lalisom - The Lal Effect.' The band's maiden show was at the 2015 National Games of India. The band drew flak from the social media for charging an amount of INR1.60 crore for its first show, later the show was also criticised for poor performance which included lip-syncing to a previously recorded audio tape. Following the criticism, Mohanlal announced that he would be returning the cost of Rs 1.60 crore to Government of Kerala. But the government rejected Mohanlal's offer saying that the heat generated by the event was quite regrettable and the Government’s morality would not allow it to take back the money. The government also said, Mohanlal had not personally benefitted from the amount (Rs 1.63 crore) which he received since it was meant to meet the stage expenses and remuneration for the artistes. But Mohanlal didn't take back the money he dispatched. Many eminent personalities from film industry and apart came to support Mohanlal. The band's next performance will involve nearly 40 hit songs of Mohanlal movies using hologram technology. Mohanlal has also started several business ventures related to film production and distribution, restaurants and packaged spices among others. He owns Maxlab Cinemas and Entertainments, a Malayalam film distribution company and Vismayas Max, a film post-production studio and college for dubbing artists at Kinfra Film and Video Park, Trivandrum. He has produced films under the banner Pranavam Arts. He owns many restaurants including a chain in Dubai called Mohanlal's Tastebuds, Travancore Court in Kochi and The Harbour Market in Bangalore. He is also a partner in Mohanlal's Tastebuds, a pickle and curry powder company. His other business ventures include Uni Royal Marine Exports – a Kozhikode-based seafood export company and Jose Thomas Performing Arts Centre Kochi. He is an independent director of Clenergen India Private Limited In 2009, Mohanlal, along with Priyadarshan, tried to bid for an Indian Premier League cricket team based in Kochi; they withdrew the bid on failing to source enough funds after a change in rules was introduced. Mohanlal was the captain of the Kerala Strikers team in the Celebrity Cricket League (CCL) held in 2012 & 2013. Mohanlal was selected as the Goodwill Ambassador of Kerala State Athletics by the Kerala State Athletics Association. He is also the Goodwill Ambassador of AIDS awareness campaign by Kerala AIDS Control Society for which he acted in short films, and of Handloom textiles in Kerala. Other commercials, designed for Kerala markets, include LG, Tata Sky. Mohanlal lives with his family in Thevara, Kochi. He married Suchitra, daughter of Tamil film producer K. Balaji on 28 April 1988. Mohanlal later recalled in an interview that Suchitra used to send him cards because she wanted to marry him. Their horoscopes did not match at first, but later it was found that the astrologer erred. Mohanlal has two children – Pranav and Vismaya. Pranav has acted in a few movies, debuting in Mohanlal's film Onnaman. 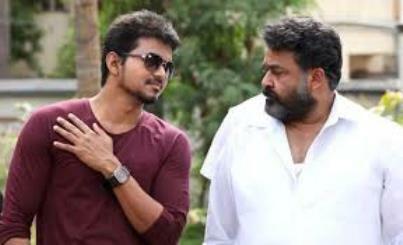 Mohanlal did not object when his son expressed a desire to act as "Kids may have many such ambitions. If we can help them realise something, what is the problem?" He owns a house at Ooty, a villa in Arabian Ranches and a flat in Burj Khalifa at Dubai. Mohanlal is a self-described foodie. He also enjoys melodious music. Mohanlal is a strong believer in destiny and spirituality. He likes to read Osho, J. Krishnamurti, Aurobindo and Ramana Maharshi. He has often stated that the turn of events in his life, including his film career, was accidental. His elder brother Pyarelal died in the year 2000, during a military exercise.